Adapting the episodes of the smash-hit TV series starring worldwide superstars Benedict Cumberbatch (Doctor Strange) and Martin Freeman (The Hobbit). 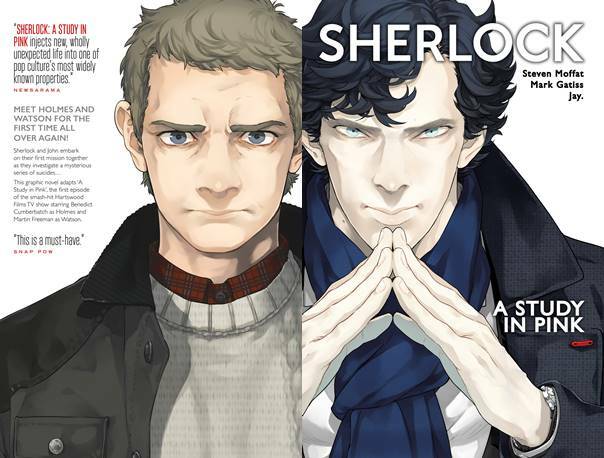 Holmes and Watson tackle brain-teasing crimes in modern-day London in this stunning Manga, presented in its original right-to-left reading order, and in the full chapters as originally serialized! Meet Holmes and Watson for the first time... all over again! Collects Sherlock: A Study In Pink (2016) #1-#6, printed in English in the US for the first time!